We are pleased at the progress of our Provision Gardens Projects. In February 2014 we had Dale Bolton from Organics4Orphans, and Carl and Kathy Thompson join us for training sessions in organic nutritional gardening. 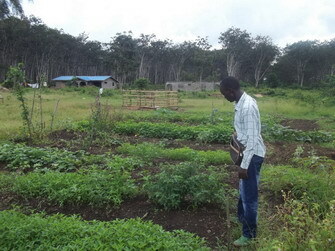 They held a workshop for 50 plus people including NGO’s, School Administrators and Agriculturalists all ready to start these nutritional gardens. Without a doubt it will affect their diets in the months to come, boosting everyone’s immune systems. 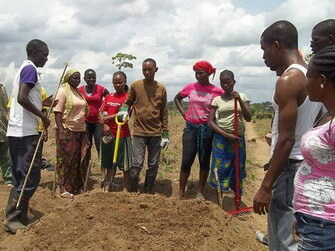 Various schools are wanting to make this a part of their agricultural studies. We will focus mostly on schools in the farming regions. Eric and Kamah’s garden is doing really well. They are now eating vegetables from their own garden. They no longer need to buy them at the market. Provision of Hope is introducing gardening to all our Children’s Homes. This will really boost their nutritional intake. 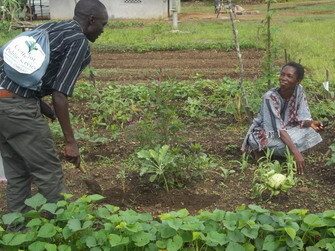 Jacob Lotodo from Kenya is showing Ma Esther how to take care of her garden. 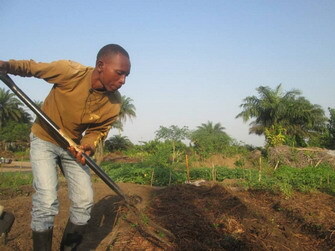 He is a graduate from the Organics 4 Orphans School. Jacob is an intern who will be working with Provision Gardens for 2 yrs. He is a hard worker and a great teacher. 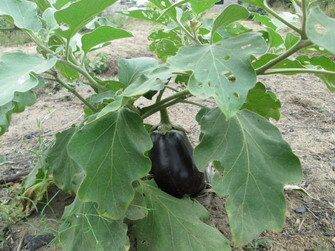 Our goal is to have all our Children’s Homes growing all their own vegetables. There is so much added nutrition in plants like kale, moringa, collard greens, carrots, cucumbers, peppers, potato greens etc. 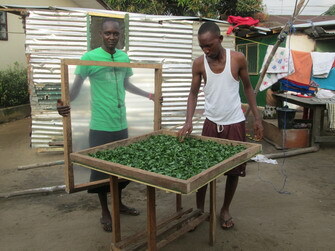 Jacob and Kelvin are drying moringa in one of the 5 moringa driers they constructed. 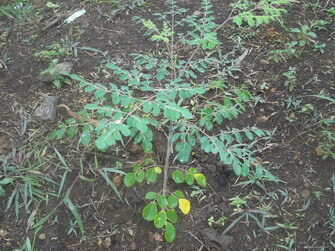 Moringa is called the miracle tree because of its high potency in vitamins, protein and minerals. Kelvin is preparing raised beds at Eric and Kamah’s. 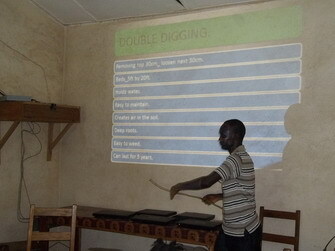 Jacob is hosting a community workshop in Kakata. Peppers almost ready to eat. 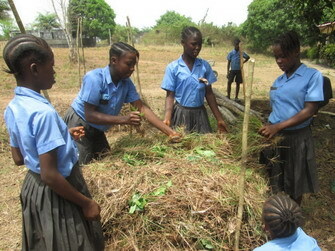 Girls at the Universal Outreach School preparing compost. 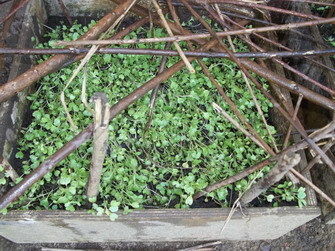 Kale plants in the nursery bed started from seeds. 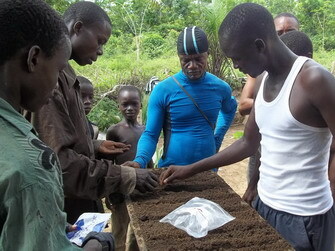 In Ganta, Jacob shows the gardeners how to start seeds in a nursery bed. 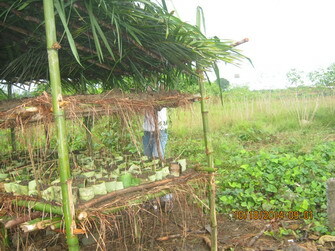 From this nursery they get transplanted to the garden. 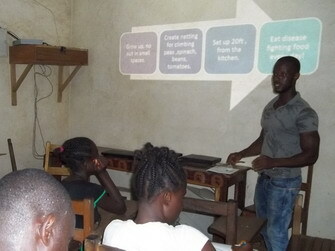 Kelvin is training the teachers and agriculturalists at the Civil Compound School. 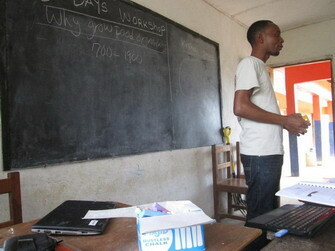 Jacob instructs the Ganta Group. 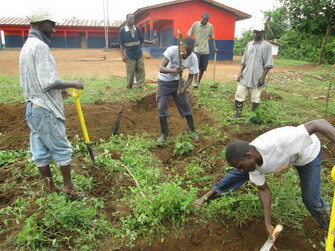 Many men came out to prepare the gardens at the Civil Compound School. Ebola did set us back in these projects due to the fact that schools were closed and our team was restricted in traveling but now we are ready to move forward in all our established projects. 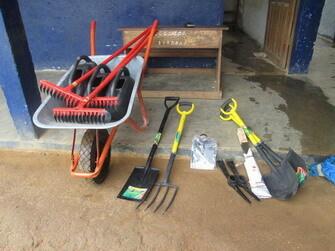 A Gardening Package Starter costs $ 250 or less, depending how many tools we buy. 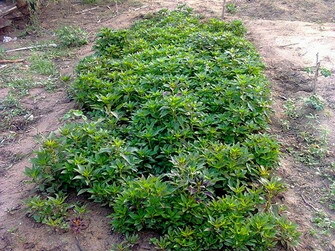 Organic seeds cost as little as $ 100 for a good amount. 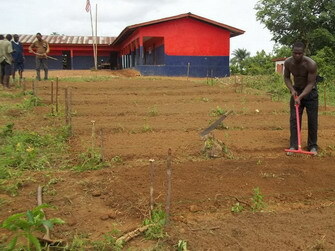 This project is one of the MOST VALUABLE of all the projects we have invested in Liberia. 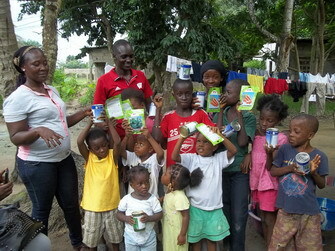 It is bringing HEALTH and NUTRITION to the poorest communities. 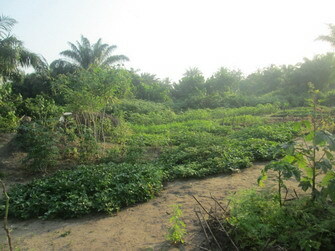 Liberia’s soil is rich and it is located in the rain forest. 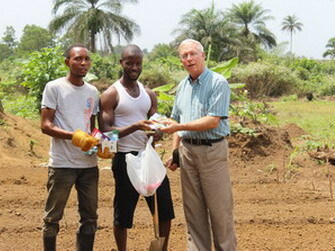 Liberia is prime for agriculture. Our NUTRITIONAL TEACHING is focusing on introducing green leaf crops that have 90 x more nutritional density than rice. Kale is known to have 1,000 to White Rice 11 according to Dr. Joel Fuhrman’s Nutrient Density Chart. If you would like to invest in our Provision Gardens we will see more and more of our children become healthy!